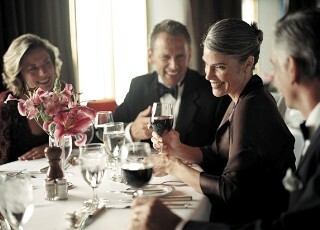 Holland America Line has launched As You Wish dining. This new program allows guests to choose from either traditional pre-set seating and dining times, or a completely flexible dining schedule. One level of the two-tiered restaurant will offer a flexible/open dining service from 5:15 to 9 p.m. daily. The other will host two seatings, an early and main seating. “Providing more options for our guests has been a hallmark of our Signature of Excellence initiative,” said Richard D. Meadows, CTC, Holland America's executive vice president, marketing, sales, and guest programs. “Since flexible dining options have become more desirable by many of our guests, we will roll As You Wish dining out across the fleet to provide the most flexibility, choice and service to our guests. The line had trialed the As You Wish program onboard the Noordam. "Feedback has been overwhelmingly positive,” Meadows added. Prior to their cruise, during the booking phase, guests will choose flexible/open dining or Holland America Line’s traditional pre-set dining time (early or main). Guests with flexible seating may make reservations daily during a cruise up to 4 p.m. or simply walk up anytime during dining hours. Holland America Line says it manages the flexible reservations and guest preferences through a computer system and that it will deliver the same service as with traditional dining. Travelers' Tale: The New Eurodam! 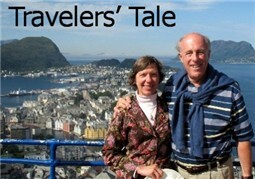 In a new feature for SouthernCruising.com, the best tales from travelers will be profiled as full-blown features under the "Travelers' Tale" heading. These are robust reader trips reports selected by the editor for their style, readability and content. In this feature, Don Nelson and Carol Kepler from Maryland talk about their recent cruise on Holland America's new Eurodam. Come along for their perspective from a July 2008 cruise. 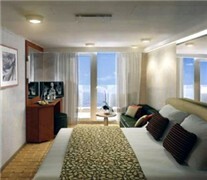 Two sleek new premium ships are planned for launch in 2008 -- Celebrity's Solstice and Holland America Line's Eurodam. But these two new amenity-filled vessels are quite different in design and onboard features. What's onboard? What will you discover if you sail? Come along with Anne Kalosh as she gives her views of how they stack up and what guests might expect. A premium line with an illustrious history, Holland America Line operates 13 ships sailing the world. Fortunately, many of them sail from U.S. southern ports to the Caribbean, particularly in the winter season. In recent years, Holland America has upgraded and updated its product -- adding larger vessels; adding Culinary Arts Centers; and adding new bedding, soft goods and other amenities. The line has also created enticing, more active shore trips and activities at its private island, Half Moon Cay. Cruise expert Georgina Cruz provides details on a product that's entrenched in history yet highly appealing to today's consumers -- many of them younger than the line's guests of the past. Holland America has added new new vintages to its Wine Series -- a Chardonnay and a Cabernet Savignon. The program is onboard the entire 13-ship fleet. The wine series underscores the tradition onboard Holland America's ships. The wines are also part of a new onboard Sommelier Package. 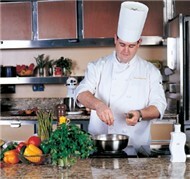 The Holland America Westerdam offers an eclectic mix of fine artwork and culinary arts. Come with freelance writer Judy Colbert as she details what you might expect from the iPod art tour of the ship's collection. She also explains the many culinary options onboard -- from fruit carving to cooking classes, from chef demonstrations to kids' cooking options. Westerdam is both a feast for the eyes and the palate. So come along as we explore this Vista-class ship from a decidedly artistic point of view!